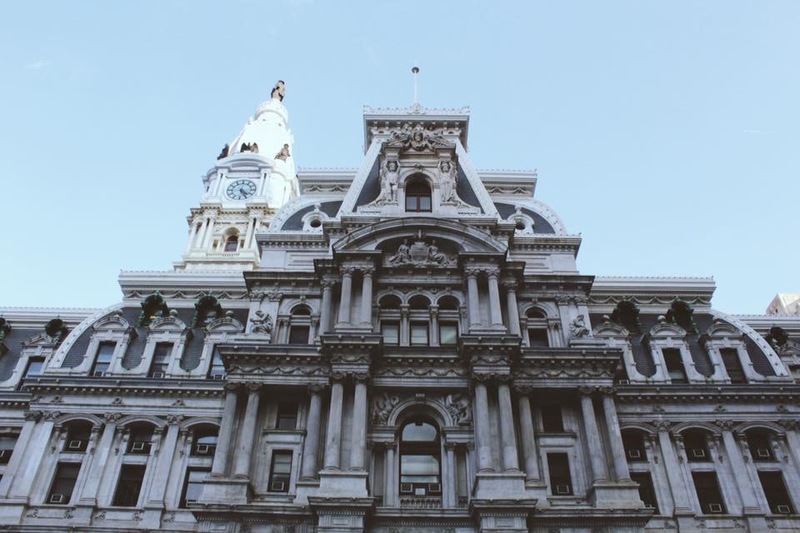 In this edition of Road-Trippin’ on a Budget, I took a day trip to Philadelphia with some friends. For this trip, I wanted to make the budget for the entirety of the day much smaller than the budget for the trip to New York. For this trip, I decided to make the budget $75. Going into this trip, I wasn’t sure if this budget would be too much or too little, but I was able to test out if $75 could get me into Philly, with costs of gas, food and events for the day. The nice thing about going to Philadelphia is that you can choose to stay overnight or drive back to campus. Since the drive is only around two hours, it is manageable to drive back in the evening. If you are looking to stay overnight, however, I highly recommend checking out Airbnb. There are many lovely apartments available for a gamut of price ranges and spaces available. We left at around 9:30 a.m. to make the trek over to Philadelphia. We decided to leave at this time, so we could arrive in the city around lunchtime. We filled up the gas tank and headed out. Gas, obviously ranges in price due to the car and fluctuates day by day, but we decided to split gas and it was around $12 each. I left for Philadelphia with $62 in cash left in my pocket. Upon arrival in Philadelphia, we were starving. 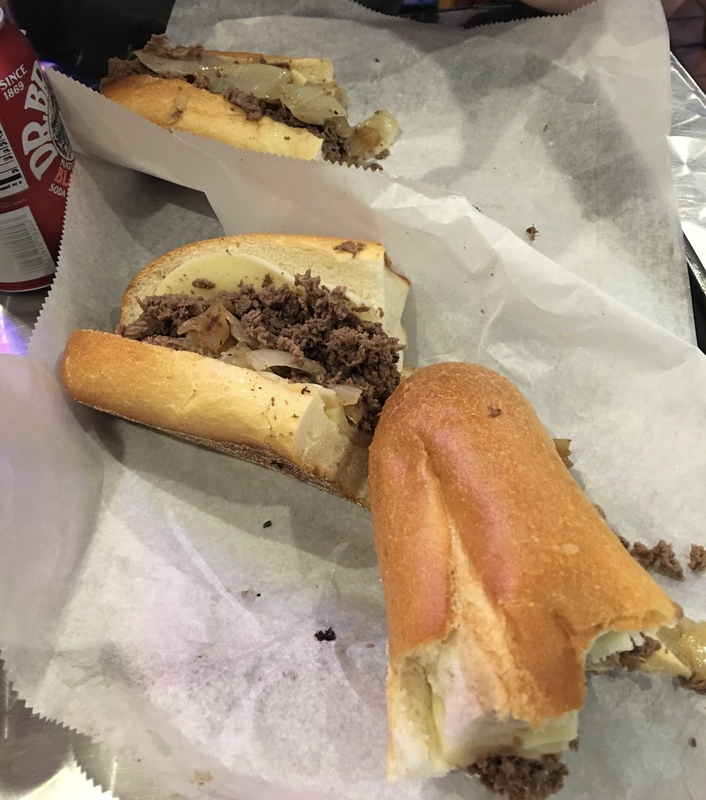 The only thing motivating us to make the 2-hour drive while hungry was one thing, and probably the only reason I wanted to go to Philly; a cheesesteak from Jim’s. Jim’s is my personal favorite; and is located on South Street, where cobblestone lines the street. I ordered a classic cheesesteak with provolone cheese, and it only set me back about $9 with a drink included. $53 left in my pocket – so far, so good. We then decided to go to the Magic Gardens, an eclectic outdoor experience where trash meets art. Tickets were $8 with a student discount, and I would definitely recommend purchasing tickets prior to visiting, to avoid waiting in line. 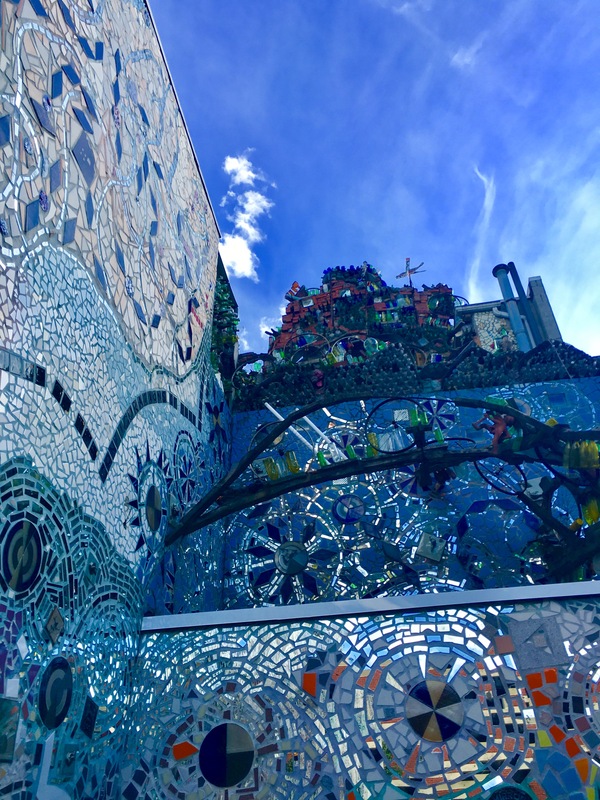 The Magic Gardens are great for photography, but be ready to be brushing shoulders with other attraction goers along the way, as it does get pretty busy within the small spaces. We then walked to see the beautiful city hall building and to take photos. With $45 left in my pocket, I basically felt like a millionaire with the world at my hands. We were able to walk around the city hall area and peruse around stores to enjoy the weather. For dinner, we decided to get Poke bowls, which are basically salads of deconstructed sushi. At Poke Bowl, I decided to get a large bowl, which was around $14 and was able to build the bowl. Think Chipotle, but in sushi bowl form. We then meandered around a bit more, and finally decided to make our way back home around 7:30 p.m. I had to stop on the way for gas, which was only around $10 and got back to campus with $20 still left in my pocket. As the weather continues to improve, I challenge anyone to try going to his or her favorite city with a set budget. Not only does it help save money, but allows for a fun day in the sunshine of a beautiful and close city.